We operate out of Farnham Surrey in a 1968 Citroen H truck. 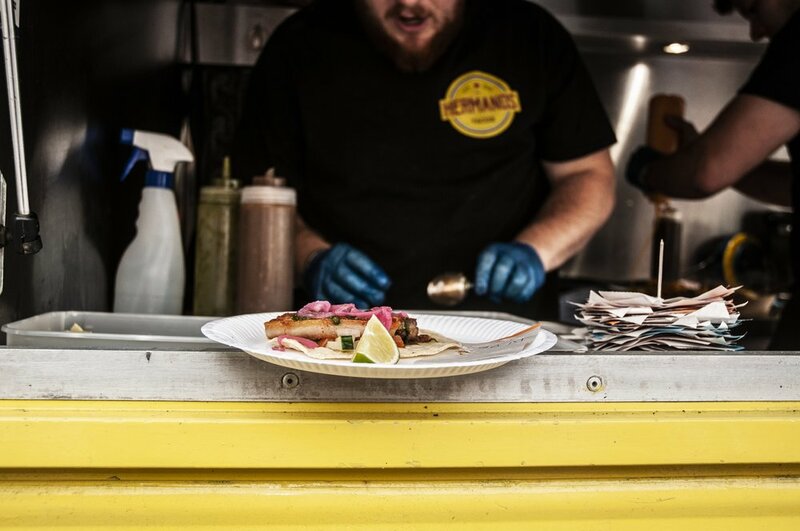 We recreate an authentic street food dining experience in the U.K. We use only the best local produce and authentic recipes learnt cooking and travelling in Mexico. Booking us couldn’t be easier, we can help you plan and organise every stage of your event. We have years of hospitality experience and are equipped to cater anything you can imagine. We treat every quote with the upmost care and individuality and every client with transparency and consideration. James fell in love with the hospitality industry from a young age, with his parents already being publicans he realised the importance of good customer service before he could even buy a pint, legally. 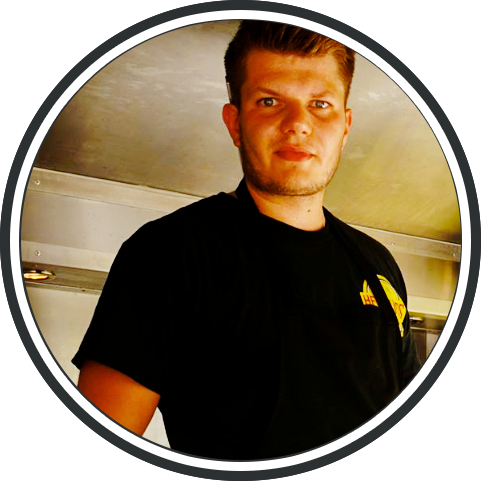 As well as an expertise in the front of house, James has worked and trained in kitchens in and around Surrey at every type of eatery you can imagine. His passion for Mexican food is as large as his appetite for it, challenge him to a taco and tequila drink off, we dare you. It’s safe to say, James’s driving skills have also been put to the test navigating their bright yellow Citroen round the south east since they started trading, and to date, all three members of the team are still in one piece, just. Rupert’s food journey began at university in Bristol. As a journalism student he reviewed restaurants and cooked along side his studies. With the idea of being a food critic that can actually cook, after graduation his professional career in restaurants began. He worked in Bristol at different neighbourhood restaurants before moving up to a Michelin starred restaurant in Oxford. This is where he honed his skills and learnt the hard way, perfecting techniques and recipes that he still uses to this day. After a gruelling spell in Oxford he rewarded himself with a 6 month trip to Mexico where he fell in love with the culture and food, travelling, eating and working in the best restaurants he could find. With an empty bank balance he returned with an idea.